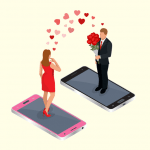 Can You Really Trust The Person You Are Dating Online? 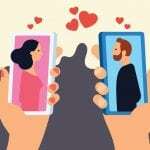 Heather is a 42 year old American lady.Divorced with two children,she decided to try online dating to possibly get a new partner. She signed up with one of the popular dating sites and set up a profile.The anonymity and security of online dating appealed to her and she hoped it would work out for her. In a matter of days, she was contacted by a man who also claimed to be looking for a love relationship.The man was handsome,also divorced and in his mid-forties. He claimed to be an engineer living in the United States, but was sent on an assignment by his company to Nigeria. They began to chat and exchange mails, and soon began a relationship online.He sent flowers to her from time to time, sent poems everday, called her up twice a day. Heather felt that she had finally found the man of her dreams. Surely,this was the perfect relationship that she had wanted since her divorce. Here was a man who was caring and who showed it. She readily agreed to his proposal when he called her over the phone and asked her to marry him. They began to make plans to get married as soon as he returned to the United States. Heather felt all was going on well with their plans until he made a distress call.He had been involved in a road accident and had been hospitalized. Could she help out with some money to pay the bills? Well,she did help. A sequence of events followed afterwards. 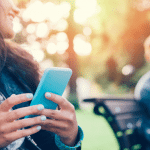 Weeks later, she discovered that the man she had fallen in love with was not the real person she had thought he was.She had just been taken by the newest form of online scams that is just showing up–the romance or dating scam. She was heartbroken.She had lost thousands of dollars to this man.She was behind on her mortgage and was in debt to the bank. But painful as the experience was,it could not be compared to the emotional pain that she had to go through. It would take many months before she would get over the whole experience, which she described as a nightmare. Heather is not the only one that is a victim of this new form of scam.Many thousands of people online are losing millions of dollars monthly to these scams. But due to the secretive nature of the internet, most people that have been scammed this way are either too embarassed or ashamed to talk about their experience. In a particular finding, 145 men and women reported that they lost over $1 million in two months in 2005. In that same finding, thousands of people refused to disclose any information about their losses. The worst aspect of these scams has been the emotional pains the victims have had to go through. Many of the victims I talked with reported that it took them many months before they could get back to their normal life. A lady told me that she cried for many nights after she realized that she had been scammed. She had thought she had the ideal lover,and had become so emotionally attached to him. Realizing that it was all a lie was devastating to her. The fact that she had been in deep love with a fake person was what pained her the most. This is the same experience as many of the victims I related with have had.The effects of the scams have had so much of a devastating effect on them all. Medical doctors, lawyers,paralegals and other professionals have been known to lose money to these scams just as housewives, students, factory workers and other low-income earners have. The scams are no respecter of status or race. Not even religious people have been spared from this growing menace. Till this moment, thousands of people are out there trying to get over these scams. But even as those who have been scammed are trying to get on with their lives, many more thousands are being set up for a scam right now. Online dating has come to stay with us all, and many people have found true love through this avenue. Online dating has produced many successful love stories. It is a medium that if properly used, with the right education, can be a means of bringing love into the lives of many. However, it is apparent that it is also increasingly being used for the wrong purposes. Given the high success rate of the scams however, the best way to deal with them is to educate yourself about them. You need to learn how to separate the wheat from the chaff. Knowing the methods that the scammers use will help you not to fall for their antics. You will be able to know what to do to protect yourself and still be able to date successfully. The more educated you are, the more you can prevent the scams from happening to you.